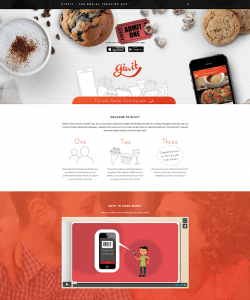 Explainer Video Case Study: The new Givvit App website featuring the Givvit Explainer Video made by Sundstedt Animation. Featured on the front page, Jan 2016. Sundstedt Animation was approached by GIVVIT to create an animated explainer video for their website and download the App page to accompany the welcome message and show just how easy it is to Send a Smile! We decided to write a Givvit Explainer Video Case Study to give more detail about the production of this new animated explainer video. Givvit is YOUR “Social-Treating™” app. It’s an easy way to show your thoughts and feelings through the sending of tangible, every day, low-cost Treats to friends, family and colleagues… whatever the reason or for no reason at all! Treats are redeemed with their “Treat Partners”, many of them well-known retailers on the UK high street. Sundstedt Animation’s task was to take the script supplied by the client, review this and give feedback for any edits and changes, to then take the updated script, voice over and music track and produce a fun, animated explainer video in a bespoke combination of styles, with images and animated movements of the images. 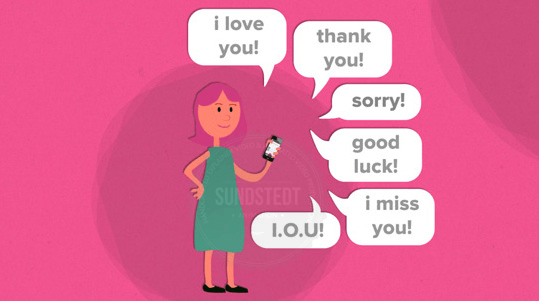 Sundstedt Animation’s task was also to take the sense of how easy it is to show your thoughts and feelings to friends, family and colleagues using their new Social Treating App and turn it into an animated Explainer Video. Having received a finished script and after a few initial talks with the London based company, we began to get a good idea of what kind of video they wanted and with a great script it gave us a lot to work with and we could begin the production. Our first step in the production was to draw the storyboard for the video, based on their script. What cool style of graphics did they want? We knew that they did not want a lot of character animation in the video, they wanted really simple characters, not much detail on faces/bodies, just very simple. What did we want the viewers of the video to get from watching it on the site? What was the core message and how would we animate this in a fun, original and interesting way? After an initial brainstorm, emails and talks with the client, we started sketching out the storyboard ideas. A lot of the ideas for the storyboard was based directly on the animation notes from the script, while some ideas came from working out what would work well in the animation of the various scenes and the transitions between the scenes. We discussed some options and ideas with the client and made suggestions to them for approval, to make sure the client thought the ideas were great. After having produced the storyboard and getting the clients approval of it, we began working on the artwork and design for the animated video. We began drawing all the artwork needed for the video, including all characters, objects and backgrounds and putting them together into organized folders for every scene in the script/storyboard. We then got working on creating and compositing every scene to be ready for animation. For this video, we created the animated video as a book, where every scene of the animation were on a separate page inside the book. We created the book cover and pages that could be turned, so we could later animate the turning to a new or previous page, closing the book and zoom in and out of the pages. The other aspects of the animation were that we wanted simple but great animated characters. Two main characters were needed but we also needed many additional characters for other scenes, like one scene in a large park. Each character is different for this video, while in a similar, matching style. We previewed the characters to the client and they really liked the characters we had created. It was a lot of fun creating these different characters and bringing the simple characters to life using different methods. All the characters were handcrafted and we took our illustrations and prepared them for use in the animations. After all the artwork were completed, including characters, props and backgrounds, we continued to put it all together into the different scenes in preparation for animation. We built up each scene with their backgrounds, character placements, foreground and background layers. Having previously created the animated page turns, we now filled each page with its scene animation, using all the artwork content that we had created earlier. We animated each scene and then combined everything so that a page turned for each new scene to appear. We then rendered out the entire video to individual frames. Then we did post-production and post effects on the rendered sequences, plus the sound mixing of voice over, music and sound effects. We put everything together and rendered out the complete video, ready for delivery and upload, with embedding code provided to the client for instant download and embedding on their website. All the steps in the production worked out without problems and after some minor changes requested by the client, it was ready to publish. The client was really happy with the resulting animated video we had created and they thought it looked great. They thanked us for the ‘Great work’. The animated video is still being used on the landing page of their site, over a year after it was uploaded, helping to welcome visitors to the site. Since last year we were asked to provide an updated version with a small design changes, which we delivered promptly. 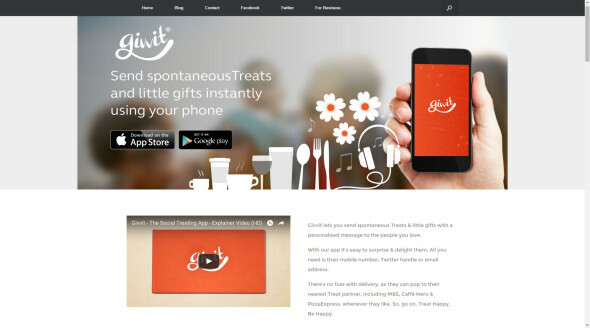 The video is there to show people just how easy it is to Send a Smile using their new Social Treating app ‘Givvit’. The client was very happy with the end result telling us ‘it’s really exciting and looks great!’ and ‘This is absolutely great!! I am really excited by it!’. Givvit front page of this Sundays Telegraph!! @NickKennedy4 Great video, great idea. Now all I need is an iPhone! Forget thankyou cards this #Christmas? Forgotten a loved one this #Christmas? Download this amazing new app @GivvitApp and redeem yourself! For my UK friends.. Download @GivvitApp.. Beast way of sending treats from phone to phone.. Perfect for all u S.N.A.G's out there ?? Who needs to actually go and buy gifts for people when you can get on the @GivvitApp hype? !